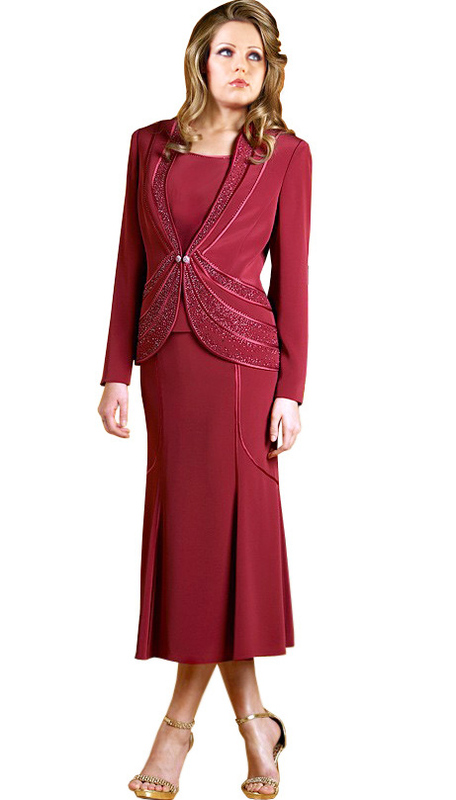 Embrace an elegant and feminine look with this �Mother�s Day Suit�. 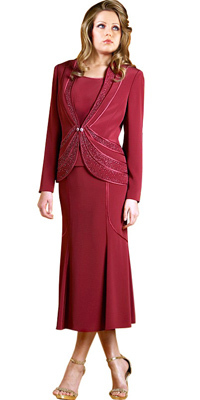 Full sleeves jacket of this suit has beads sprinkled over it in a dramatic style and shining overall appearance. Skirt is tea length and has panels at the bottom.